The Portland headquarters of BerryDunn’s healthcare analytics team. 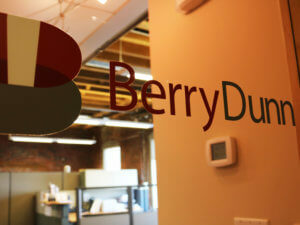 BerryDunn is a full-service accounting and consulting firm, anchored in its birthplace, Portland, ME. The firm recently merged with Compass Health Analytics, a healthcare analytics company and longtime client of OTELCO Cloud and Managed Services (formally Reliable Networks). Recently we sat down with senior data analytics consultant Miles Isacke to discuss how Managed Services from OTELCO serve the BerryDunn healthcare analytics team using desktop virtualization. Isacke finds that it is the combination of “knowing that there are procedures and people to monitor the systems” and “a certain amount of expertise that has developed over time” that makes OTELCO C&MS stand out as a provider. OTELCO C&MS started working with Compass in 2010, and their partnership has always been a rewarding one. The two teams have consistently been able to work together closely to create an infrastructure that meets the needs of BerryDunn’s healthcare analytics team and clients. After almost ten years of working together, a real trust has developed between the two companies. “I have never felt forced down roads just due to [OTELCO’s] business model,” says Isacke, a fact that as a consultant he finds commendable. OTELCO manages, monitors, and hosts two of the former Compass Healthcare Analytics’ servers. They currently hold 10 terabytes, but with their recent merger with BerryDunn, they are looking to expand. Storing that much data on an in-house network would require an experienced full time IT staff, but for less than half that price BerryDunn can store their infrastructure at OTELCO’s climate-controlled data center, where it is maintained and closely monitored by a team of experts. OTELCO C&MS also provides a complete Citrix XenApp desktop and secure server services, supported by OTELCO’s Security as a Service, and Backup as a Service. All of these services work together to safely and securely host vast amounts of sensitive healthcare data, so Isacke and his team can focus on analytics and not IT. Compliance: Healthcare analytics involves a massive amount of sensitive information, which is why consulting firms like BerryDunn must meet a high level of security compliance. “Part of what drove us to a Citrix environment was healthcare compliance,” said Isacke. With OTELCO C&MS, BerryDunn’s healthcare analytics team benefits from years of experience in meeting healthcare information standards. Isacke also mentioned that OTELCO’s SOC 2 Type II audit was a “vital attraction” for his company. Flexibility: Isacke’s healthcare analytics team works with clients all over the country, and since Compass Health Analytics joined BerryDunn, their client base has grown significantly. 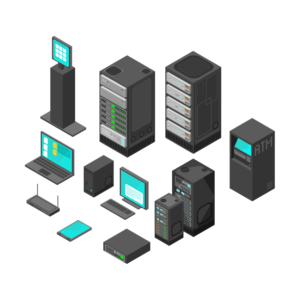 These clients send tons of data to the team, and desktop virtualization provides a flexible environment to store and manage all of it. With OTELCO C&MS, Isacke can easily scale his storage up and down as needed and can offer a secure environment to his smaller clients, who might not have infrastructure of their own. We are proud to work so closely with companies like BerryDunn to simplify their business technology needs. We really appreciate Miles Isacke taking the time to talk to us about his experience with our company, and are looking forward to celebrating ten years of partnership with him and his team. With OTELCO Cloud and Managed Services, you can expect the same personalized experience as BerryDunn. Our IT experts work closely with you to determine the individual needs of your business and will work tirelessly to create a business technology plan that fits your business. With our host of business technology services, we will take the pressure of IT off of your shoulders so that you can focus on taking care of business.